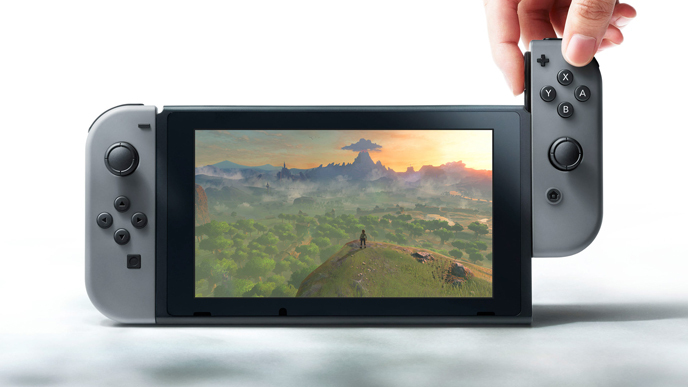 Can The Nintendo Switch Unite Console And Portable Gamers? But long before videogames were played on a television screen, they were played outside the home. The living room TV has only recently become the anchor to which games are secured. At the medium’s birth, games existed only on supercomputers connected to university labs. The first mainstream adoption of videogames came outside the home as well, in public spaces such as bars and, then, arcades. Nintendo’s first digital games were mobile, in the dictionary sense of the word, with Gunpei Yokoi’s crafty Game & Watch line. Only with the success of the Atari 2600 did the family room, in all of its wallpapered glory, become the site of our digital triumphs. The Switch looks to merge the “Home” and “Away” experience in a way that, at first blush, resembles scores of other attempts: from NEC’s TurboExpress, a portable that took the same HuCard format as their TurboGrafx-16 console, to Sega’s 1995 Nomad, a handheld which played full Genesis cartridges, to Sony’s remote play, where a connected Vita can tap into your PS4 library. Even Apple’s i-Devices can hook into your TV. The difference here is one of intent. Those were work-arounds, or after-the-fact solutions: The equivalent of building a house on a foundation of bubble gum-and-hay instead of fresh-poured concrete. The Switch was built to do both: An RV with all the luxuries of home but on wheels. Even Nintendo has merged the concepts before, but in reverse, releasing their Super Game Boy and Game Boy Player as solutions to play your portable games at home on the big screen. The libraries of their current platforms, the Wii U and 3DS, overlap both in theme and title: First-party hits on 3DS (Mario Kart 7, Super Mario 3D Land ) became beefed-up home versions (Mario Kart 8, Super Mario 3D World) while home successes (Donkey Kong Country Returns, Xenoblade Chronicles) were melted down and recast as portable versions. The common hope is that with Switch, Nintendo can pour their talented but spread-thin resources into a single, all-powerful platform, theoretically doubling their output. But it’s the independent creators that have shown us the walls between playing at Home or Away crumbled long ago. Sony’s PS4 and Vita platform have had a string of games released as “Cross-Buy,” where you pay once and get both versions. Certain games on Nintendo’s dual systems employ the same discount. Two recent games, one old and one new, point to the potential (and pitfalls) for Play Anywhere gameplay that Nintendo hopes to make the new normal for dedicated videogame systems when they release the Switch next year: Drinkbox Studio’s Severed and 13AM Games’ Pirate Pop Plus. 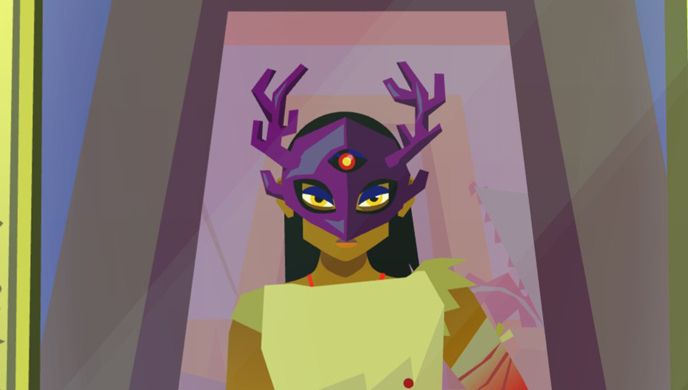 Severed launched on PlayStation Vita this past April. The first-person dungeon-crawler takes place in a hyper-vivid dreamscape pulled from a peyote-fueled fever dream. The visuals are worth splashing onto the big screen, but the mechanics require a touchscreen: You slash with your finger or stylus to attack monsters and, ultimately, sever their limbs which you collect as power-ups. When it released on both Wii U and 3DS in September, you could finally combine the comfort of playing from your couch or the convenience of playing anywhere else. (You could have done this with the Playstation TV peripheral, too, but few own the micro-console/Vita TV Output device.) The rub? You had to own both Nintendo’s home console and portable to take advantage. The Switch effectively merges the strengths of each platform into one. What’s less certain is how that touch-screen play will work, as the 3-minute reveal showed nary a finger graze the rumored-to-be 6.2 inch screen. But those same rumors point to a multi-touch capacitive screen. 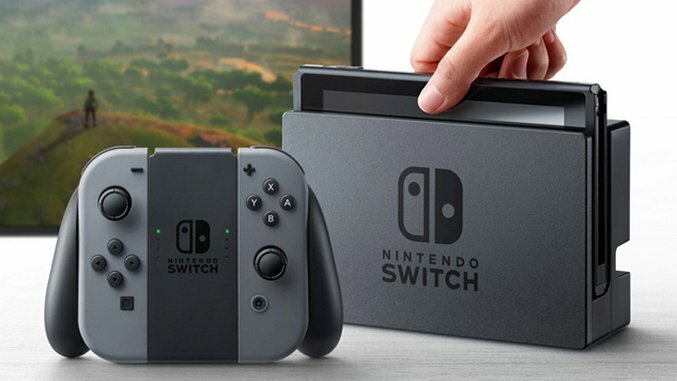 What’s less clear is how you’ll access and use the touch-screen while playing on the TV, as the Switch must sit in a dock when playing on the television, thereby obscuring the screen itself. With mobile games and Nintendo’s own recent handheld output leaning heavily on touch input, taking the screen out of your hands when you want to play on the TV will limit what kinds of games we see on Switch that fully utilize this Play Anywhere ethos. But for high-score arcade action like dadako’s Pirate Pop Plus, this won’t be a problem. The game is a kind of modern reshuffling of Pang, a 1989 arcade game by Mitchell Corporation released in North America under the name Buster Bros.. The game is simple: Fling a projectile at bubbles to pop them; they splinter, giving you more (but smaller) bubbles to burst. The more you pop, the higher your score. Imagine Asteroids at a pirate-themed kid’s party. One twist keeps the action from getting mundane: At certain points, the screen (and gravity) rotates 90°, 180°, or 270°. It’s the kind of simple-to-understand but hard-to-master game that’s perfect for bus-rides but also leisurely nights on the couch. I’ve done both. But when I flip open my 3DS and go for a high score, my Wii U version doesn’t know it. When I customize the backdrop on one, the other remains unchanged. Sony and Apple have both solved this problem with variations on cloud saves: One account links up various versions of the same product. Nintendo has lagged behind with a generation of hardware that barely talks to one another. With the Switch, the same experience awaits you whether you’re commuting to work or chilling at home. Nintendo’s recent update to one of their biggest portable hits, Animal Crossing: New Leaf, includes a subtle corrective to a pre-Switch era where Home and Away games are ostracized from one another. 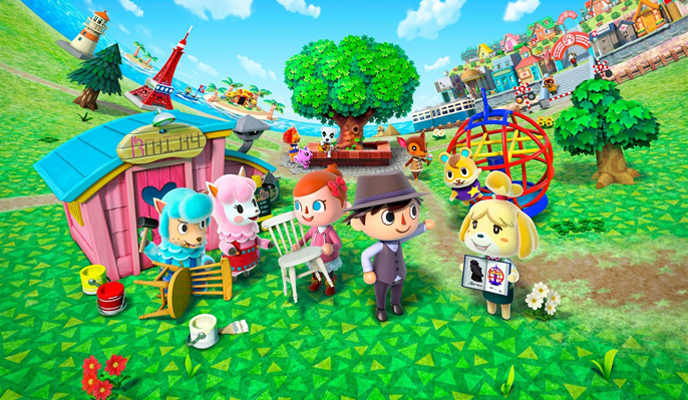 Last winter, they released Animal Crossing: amiibo Festival, a digital board game based on the popular franchise. Though this writer enjoyed its laid-back charms, most panned the attempt as an insubstantial cash-in. But many reviewers held up a bonus mini-game, “Desert Island Escape,” as a small idea worthy of its own game, ideally suited to play in short bursts. Stuck on a Wii U disc, the game would have languished. Now, the 3DS game includes the Survivor-styled mini-game, having escaped the clutches of its home system. All you have to do is download the update, invite the right villager to your town, and buy an in-game “Wii U” item from them. That’s an awful lot of work to play a once-stationary game on the go. The main addition to this update? An RV park for new villagers. Nintendo knows we want to take our home on the road. That’s exactly what they’re offering with the Switch, set to be released next March. We’ll know more when they reveal information on price and launch line-up at the Nintendo Switch presentation on January 12th. The showcase will be streamed live, so you can watch on your computer at home or on your phone anywhere. The choice is yours. And that’s the point.